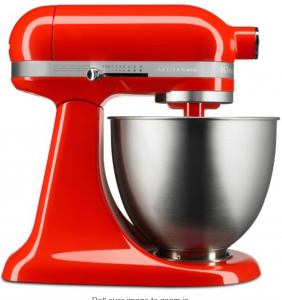 This mixer will help you choose a better wife. Put it on your counter and when you bring a young lady home if she thinks it’s cool and says she’s always wanted one, continue to date her. Your future will be filled with baked goods and well nurtured children. If she doesn’t show any interest, ask her to leave and lock the door 🙂 The build quality is way above the norm, like it came off a locomotive. And, with attachments you can do way more than bake.